“Hey, where is the spider post?”, you may be asking if you arrived at this page by following one of the thousands of links that sprung up overnight in the online media and social circuits. In the fine tradition of online publishing I took the liberty of pulling a “bait-and-click” switcheroo, and turning the hysteria surrounding the Goliath birdeater’s story into a teaching opportunity. And thus, please bear with me, and read this post to the end (where you will find the original post about the spider) before banging out an angry comment in ALL CAPS. For some reason, probably related to the proximity of Halloween, my blog post about the Goliath birdeater spider received an inordinate amount of attention, and has been republished, reinterpreted, outright stolen, and vilified all over the Internet. This one post on my obscure blog is now receiving in excess of 120,000 unique visits every day, and comments are pouring in. Alas, most of them are somewhat less than positive, and I am beginning to wonder if I really am a “HORRIBLE person” who “will destroy the earth.” (I must admit that some of the trolls were touchingly tactful – they might have said ” F&*K you, a$$hole”, but they modified the foul words as not to offend my sensibility.) But why the vitriol? Museum collections are priceless not only because of their role in scientific discoveries, but for igniting the fascination with the natural world in future generations of researchers, artists, and conservationists. You see, while talking to a reporter I explained that one of the specimens I describe in the blog had been collected and placed in a museum. This, combined with my comment of having seen this species only a handful of times, triggered a tsunami of self-righteous outrage at my murderous act which, according to the most vocal individuals, is bound to drive this species to extinction. In fact, I really fear for the Smithsonian Institution, this nation’s preeminent natural history collection. If a single spider collected by a scientist causes such an outrage then, surely, the 126 million specimens in its holdings will warrant burning it to the ground and crucifying all scientists working there. But in all seriousness, why was the specimen collected? First, a bit of a background about the expedition to Guyana during which this took place. I was there with a group of biologists and Guyanese students at the invitation of the Ministry of Amerindian Affairs and the Environmental Protection Agency of Guyana. Our job was to conduct a comprehensive survey of animals and plants of the newly created Community Conservation Area, train Guyanese students in the methodology of biological surveys, and collect specimens for the Center for the Study of Biological Diversity at the University of Guyana. These specimens are used to both create permanent documentation of the species composition of a never before explored area of the country, and to train a new cadre of scientists and conservation professionals in identification and morphological diversity of organisms. And before you point out various alternative methods of documentation (photographs, sound recordings, non-destructive DNA samples), let me assure you that there is no substitute for the collection of physical specimens. What about this particular spider? As I mention in the post below, Theraphosa blondi is indeed the largest spider in the world (although its legs are not foot long, as some media reported), and thus it makes a perfect specimen for teaching spider morphology. It is also a very common species, not protected or endangered, and collecting of a single individual poses absolutely no threat to its survival (a scientist picking up one spider is no different from a bird doing the same; if a stochastic event such as this can drive a species to extinction then this species is already doomed.) In fact, you can purchase Goliath birdeaters in many pet stores in the US or online for $20-100 a piece. But they are shy and elusive, and thus I was thrilled every time I saw one during a small handful of encounters with this species. Once the animal was properly euthanized and preserved, something that is never done lightly, it was carefully labelled and deposited in the collection in Guyana where to this day it serves as an important teaching tool. And, years from now, the same specimen may provide new data on spider anatomy, genetics, evolution etc. 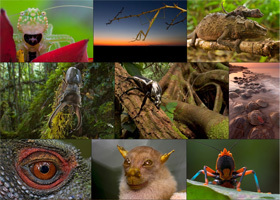 In addition to the spider, we also collected vouchers of 857 other species of animals and plants (excluding birds and large mammals), which are now deposited across various research institutions in Guyana, Venezuela, and the US. 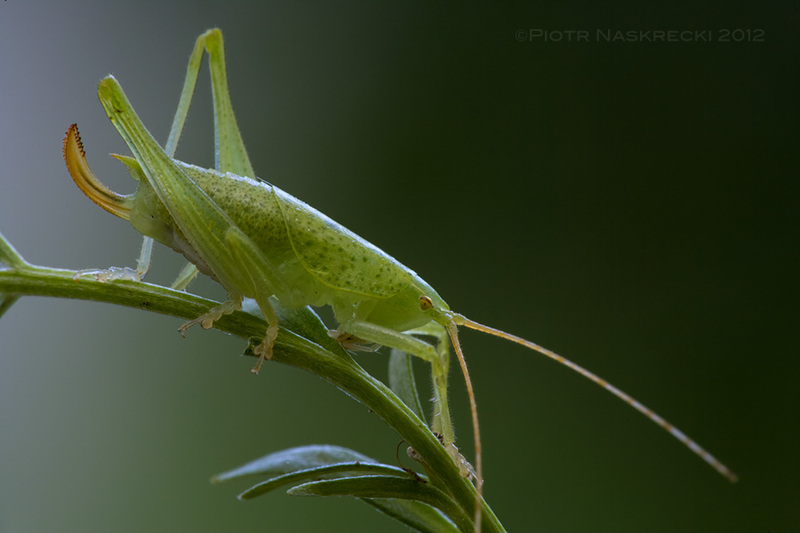 The Endangered Katydid (Paracilacris periclitatus) – this species may already be extinct due to the loss of its habitat, but we know of its existence because I collected a few individuals and described the species. Collecting and preservation of physical specimens is an integral, irreplaceable element of biological sciences. There is hardly a branch of biology that does not rely on the examination of organisms’ bodies (the only exception I can think of is ethology, and only some variants of it), be it for the purpose of their identification, understanding of the functions of their respiratory system, or the speed of transmission of neural signals. 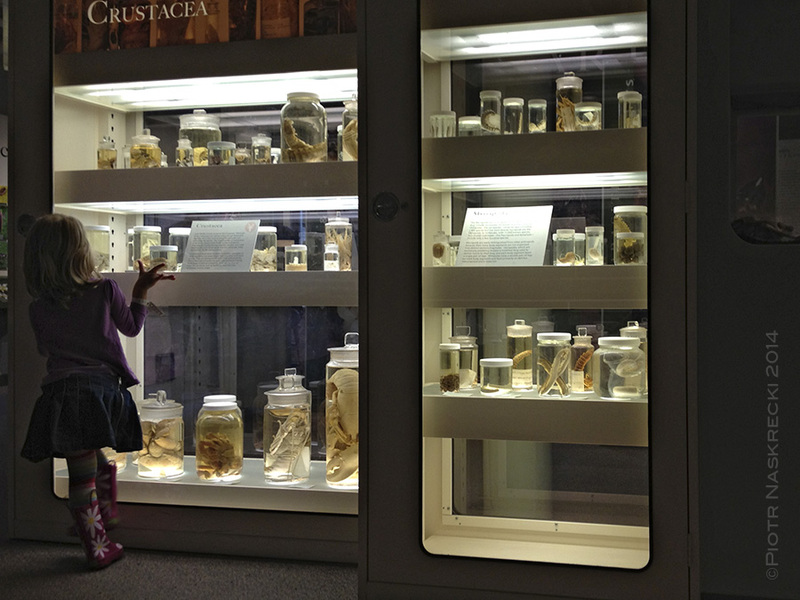 Museum collections, where specimens are preserved for future scientists, are a special, very important case. There specimens are often deposited not for a particular, clearly defined research project (such as when a geneticist examines thousands of fruit flies to measure the expression of a particular gene). 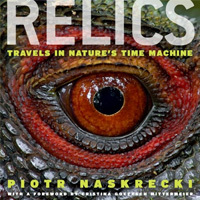 Rather, collections serve as both a documentation of the current state of species composition in a particular time period or an area, or as a library of morphological and genetic diversity across a wide range of species. We cannot anticipate what questions will be asked, and answered, using specimens deposited in such collections. For example, the ban on the use of DDT, a horrible environmental pollutant, was based on the discovery made in ornithological collections that bird egg shells have been getting progressively thinner, thus leading to high mortality of birds, ever since the chemical began to be used. The spread of chytrid fungus that is wiping amphibian species across the globe was understood by examining specimens dating back a hundred years. Closer to my own research, the world’s only cave katydid is now listed as Endangered by the IUCN Red List and thus receiving a greater attention from conservationists, because I found 70-year old, unidentified specimens of this species, collected by a scientist who had no idea what a remarkable animal he was catching. What do these beautiful animals have in common? You killed them. Or similar species. Our houses are death traps for countless organisms who are attracted to artificial lights and die inside. I found members of each of these species in the light fixtures of my house. Can collecting specimens for scientific research threaten a species’s survival? The short answer is no, there is absolutely no evidence that any scientist has ever driven a species to extinction. Famous New Zealand 19th century ornithologist Walter Buller is sometimes accused of having collected birds to extinction, but a close examination of the numbers of specimens collected by him proves that his work had no impact on the birds’ populations; rather, his bird collection is now a sad repository of species exterminated in New Zealand by moronic, purposeful introduction of alien species and destructive agricultural practices on the islands. And this is the key – species are never lost as a result of scientific collecting, but almost invariably because of the destruction of their habitat, or due to competition from alien species introduced by humans. And this loss of species is happening on an unimaginable scale – by some estimates 16,000 species quietly go extinct every year, some even before scientists have a chance to describe and name them. And this is why if I see something that may be new to science, even if I suspect that it might be rare and threatened, I will collect it and deposit it in a museum. Some years ago I found a new species of katydid in South Africa. 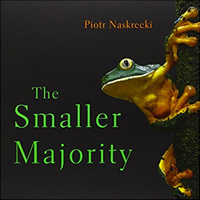 I knew that its population was tiny and on the brink of disappearance. In fact, this species is now probably extinct. Not because I collected a few individuals, but because its only population was located in a tiny patch of a native yellowwood forest within a massive pine plantation, a patch that was already being cut down to be replaced by more non-native trees grown for timber. Had I not collected a few specimens of this animal, we would have never known it existed. 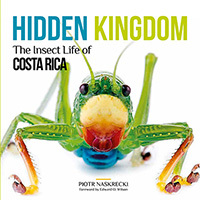 Now, at least its tombstone has a name – Paracilacris periclitatus, The Endangered Katydid. I could go on and on about why scientific collecting is needed, but I want to mention one last thing. Every single one of us is guilty of involuntary bioslaughter – we kill thousands of organisms without realizing that we do it. 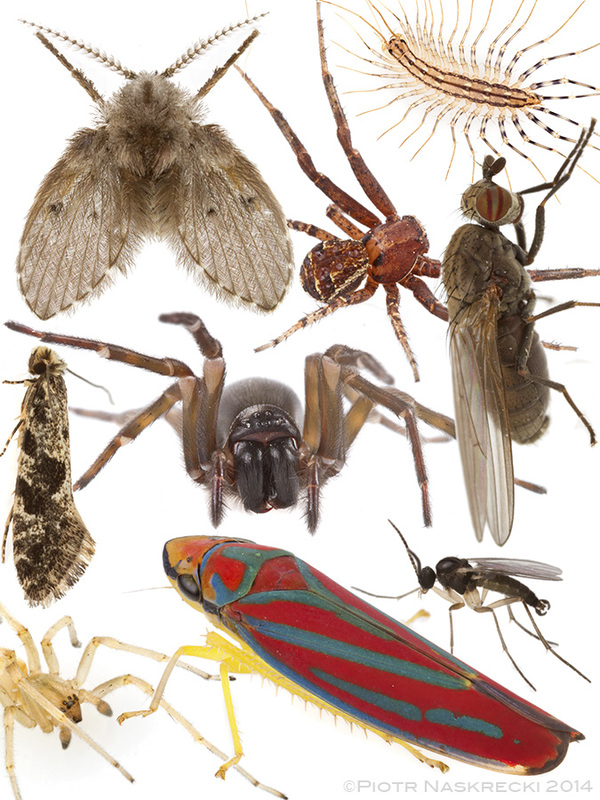 Look into the light fixtures of your house or the grill of your car, they are full of dead insects and spiders. 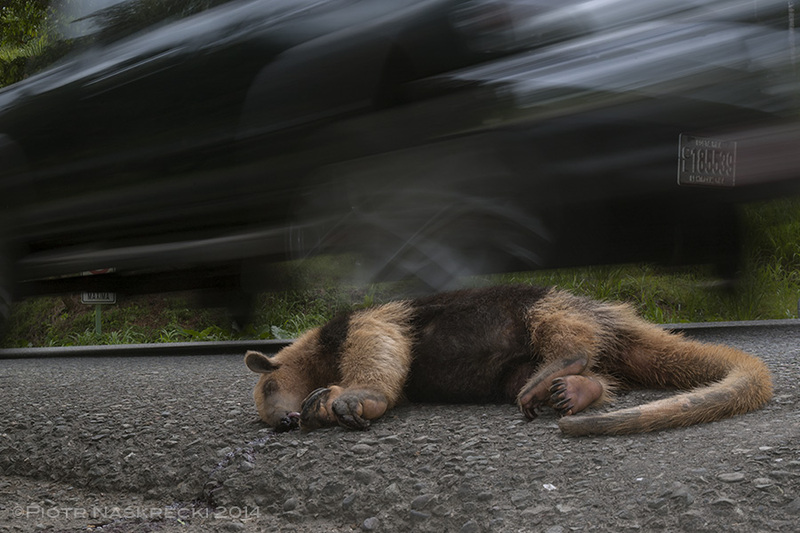 That highway that you drive to work – each mile of it equals millions of animals and plants that were exterminated during its construction (and if you live in an area of particularly high endemism, California or New Zealand for example, its construction probably contributed to pushing some species closer to extinction). That tofu that you eat because meat is murder – it probably comes from Brazil, where massive soy plantations stretching from one horizon to another have replaced its once thriving rainforest and led to the disappearance of thousands of species. A mile of highway kills more organisms that an entire generation of scientists. First during its construction, then when it turns into a conveyor belt to hell for any organism unlucky enough to step on or fly over it. It is very easy to fixate on an individual case of an organism being deliberately euthanized. We do it because it is convenient emotionally – it is much easier to feel superior when we can point a finger at somebody who does it consciously, even if for a good, justifiable reason, but we don’t like to think about those trillions of animals and plants that we kill by virtue of simply going to a grocery store. And now, enjoy the story of the Goliath birdeater. When I go out at night into the rainforest to search for katydids I don’t like to have any company. Not that I am particularly antisocial, but tracking skittish and cryptic animals is an activity that’s better done alone. I walk slowly, trying not to disturb anything and anybody, slowly scanning the vegetation and the forest floor in the light of my headlamp. Every now and then I turn the light off to fully immerse myself in the ambient sounds of the forest, which often helps me pinpoint a faint trill made by a katydid’s wings. 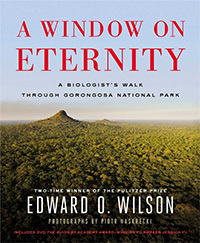 A few years ago I was deep in the rainforest of Guyana doing just that – listening to the sounds of the night in a complete darkness – when I heard the rustle of an animal running. I could clearly hear its hard feet hitting the ground and dry leaves crumbling under its weight. I pressed the switch and pointed the light at the source of the sound, expecting to see a small mammal, a possum, a rat maybe. And at first this is what I thought I saw – a big, hairy animal, the size of a rodent. But something wasn’t right, and for a split second the atavistic part of my brain sent a ping of regret that I didn’t bring any companion with me on this particular night walk. But before that second was over I was lunging at the animal, ecstatic about finally seeing one of these wonderful, almost mythical creatures in person. Goliath birdeater (Theraphosa blondi) from Suriname, displaying the full arsenal of its defenses – urticating hair, enormous fangs, and a loud hissing noise. The South American Goliath birdeater (Theraphosa blondi) is the largest spider in the world. For all the arachnophobes out there this is probably a good excuse to pave over large swaths of the Amazonian rainforest, but for the rest of us this species is one of biodiversity’s crown jewels. Although far from being the largest member of the subphylum Chelicerata – this honor belongs to horseshoe crabs – Goliath birdeaters are ridiculously huge for a land arthropod. Their leg span approaches 30 cm (nearly a foot) and they weigh up to 170 g – about as much as a young puppy. They truly are Goliaths, but are they bird eaters? Alas, the truth is a bit less exciting. Although definitely capable of killing small birds, they rarely have a chance to do so while scouring the forest floor at night (however, there is some anecdotal evidence that they may feed on bird eggs if they run across a nest). Rather, they seem to be feeding on what is available in this moist and warm habitat, and what is available is earthworms – lots of them. Goliath birdeater in its natural habitat in Suriname. But how do they get to be so big? Apparently, according to one study (Makarieva et al., Proc. R. Soc. B  272), it has to do with their metabolic rate, which is lower than in the Goliath birdeater’s relatives. This allows it to function with lower levels of oxygen reaching its tissues and organs than those required by smaller, more active spiders. In other words, the bigger the body the more difficult it is to provide oxygen to all its parts if the metabolic rate is to remain constant. Regardless of the reason, because of its gargantuan size, the Goliath birdeater is probably the only spider in the world that makes noise as it walks. Its feet have hardened tips and claws that produce a very distinct, clicking sound, not unlike that of a horse’s hooves hitting the ground (albeit, admittedly, not as loud). But this is not the only sound this spider makes. Every time I got too close to the birdeater it would do three things. First, the spider would start rubbing its hind legs against the hairy abdomen. “Oh, how cute!”, I thought when I first saw this adorable behavior, until a cloud of urticating hair hit my eyeballs, and made me itch and cry for several days. If that wasn’t enough, the arachnid would rear its front legs and open its enormous fangs, capable of puncturing a mouse’s skull, and tried to jab me with the pointy implements. The venom of a birdeater is not deadly to humans but, in combination with massive puncture wounds the fangs were capable of inflicting, it was definitely something to be avoided. And then there was a loud hissing sound. For a long time the source of the sound was a mystery, but now we know that it is produced by “setal entanglement” – some of the hairs (setae) on the legs are covered with microscopic hooks that scrape against other, feather-like setae, producing the loud warning hiss. With the leg span of nearly 30 cm, the Goliath birdeater is an animal that should be treated with respect, even though it is pretty much harmless to humans. Update 1: You can now purchase high quality prints of all images appearing in this post – just click on the image. For commercial use please contact Minden Pictures with inquires regarding licensing of these photos. Update 2 (28 Oct. 2014): It has been over a week since the Goliath story hit the news (isn’t it like 2.3 years in the Internet Time? ), and it is probably good to let it go and refocus on another worthy cause. Thus I am closing the comments under this post, but feel free to express your opinion on any other story on this blog (but please stay topical – if you would like to tell me what you think about the spider story, or me personally, just email me). The question of scientific collecting is clearly a polarizing one but, unlike such important questions as whether God uses a Mac or Windows, it actually has one, right answer – we need scientific collecting (pdf) and it serves a wide variety of beneficial causes (pdf). Please keep visiting my blog, I am always happy when my stories raise awareness of the beautiful world of invertebrates and other underappreciated organisms, and the conservation work that I and my colleagues have been engaged in for many years. In the end, this experience was a positive one – if I can make people care about a single spider then maybe there is hope for the rest of the natural world? A Goliath birdeater from Guyana, the first individual of this species that I ever encountered (possibly T. stirmi). Her opisthosoma (abdomen) is nearly bald because most of the urticating hairs ended up in my eyes and mucus membranes – now I know better than to put my face too close to these animals.